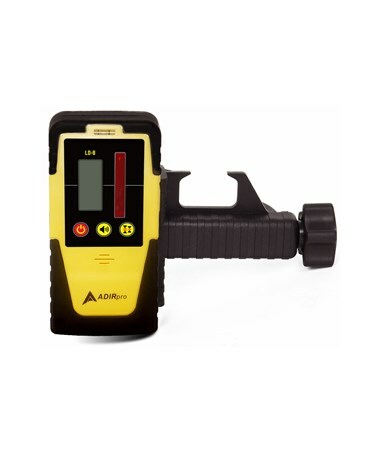 With a working range of up to 2,000 feet, the AdirPro LD-8 Universal Laser Detector is compatible with red rotary lasers in all lighting conditions. This allows you to use it indoors or outdoors. 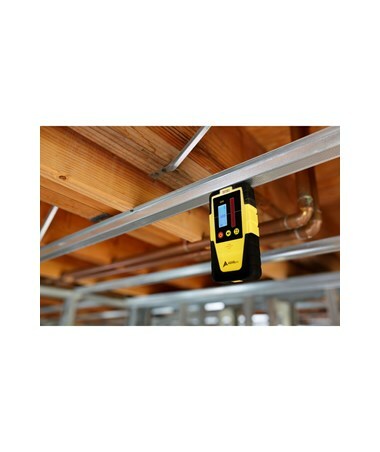 This laser receiver is robust with its hard plastic housing and rubber casing. It has a dual display and a built-in bubble level for convenience. The backlight to the liquid crystal display can be adjusted with the touch of a button, the same goes for the volume. 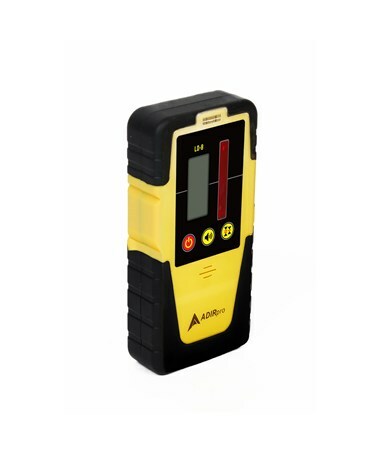 In addition to the on/off button, there is an automatic shut-off feature that will power down the LD-8 after about ten minutes of being idle (so as to extend your batteries’ lifetime). 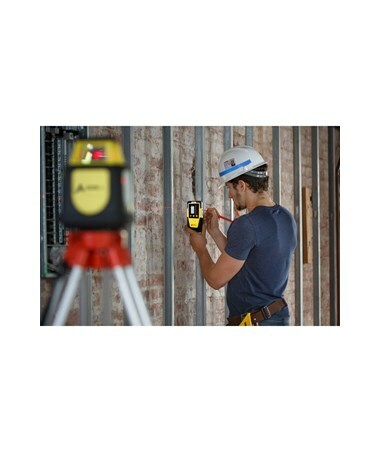 With a 9V battery, you can get approximately 40 working hours of continuous use. 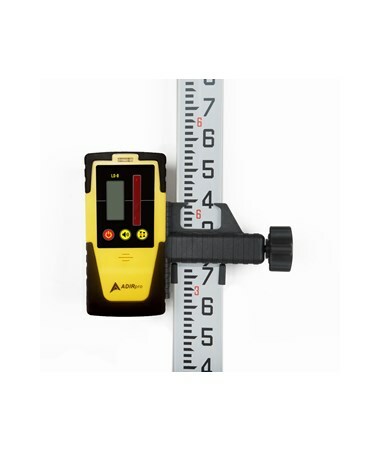 The interface is user-friendly and smart in its simple design. The readouts are clear and accurate. 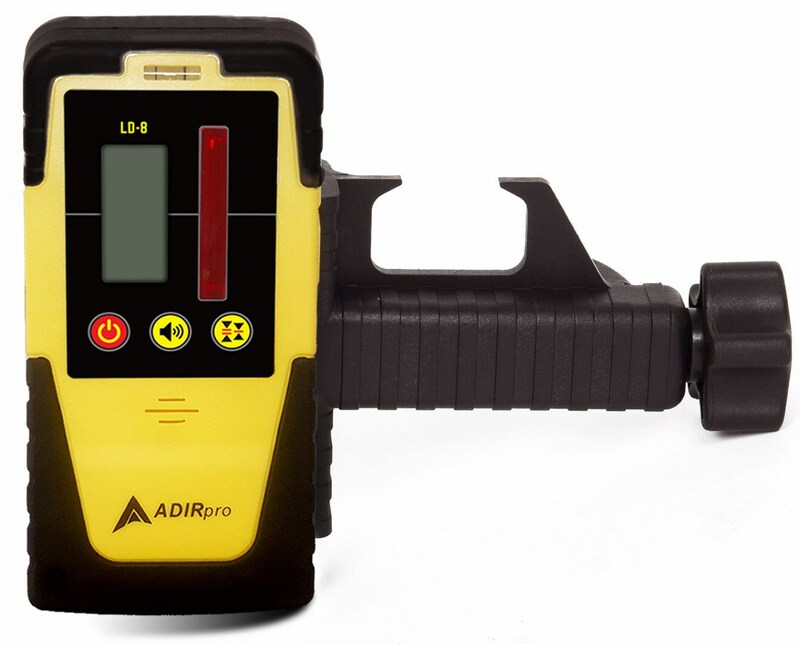 The AdirPro LD-8 laser detector features an IP55 rating making it resistant against dust ingress and low-pressure water. 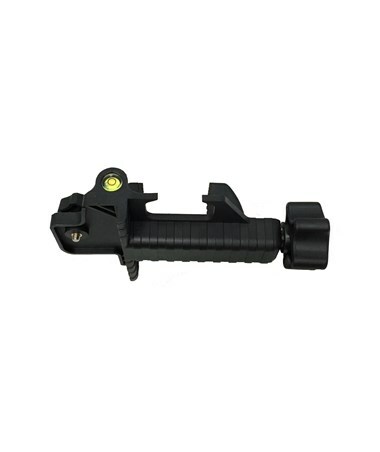 Comes with a compatible rod mounting bracket, both the screw on the bracket and the nut in the unit have ¼” threading. 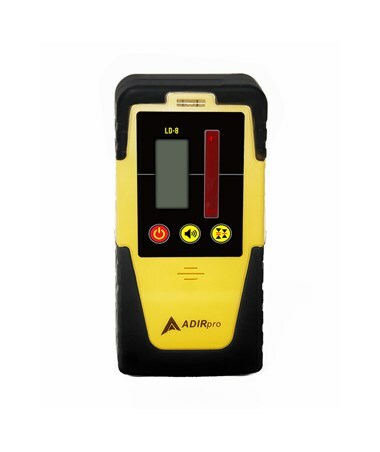 This AdirPro laser receiver includes a 9V battery and is backed by a 90-day manufacturer's warranty.